The Cancer Research Collaboration believes that innovative strategies and improved partnership among health care stakeholders offers the best chance for a future free of cancer. The Cancer Research Collaboration (CRC) envisions a future free of cancer. For more than a decade, the Breast Cancer Research Group, which predated CRC, has worked with patients, researchers, clinicians and other health care constituents committed to a common cause: to find a cure for and eliminate cancer. Research is essential to developing our knowledge of the devastating group of diseases known as cancer. Unfortunately, research is frequently performed in isolated siloes. Promising treatments under investigation are often ignored and unheard of beyond small groups of researchers, patients and clinicians. Meanwhile, some research projects continue far too long and receive far too much funding without producing meaningful data. 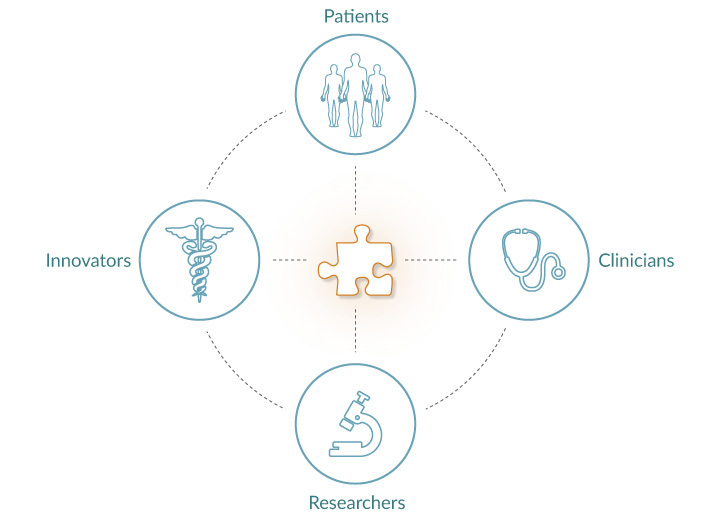 A more collaborative model for conducting research and sharing results would improve our chances for finding a cure and developing more effective treatments. With a strong background in cancer research, CRC has built strong bonds with numerous health care organizations, including medical device developers, pharmaceutical companies and other not-for-profit partners. 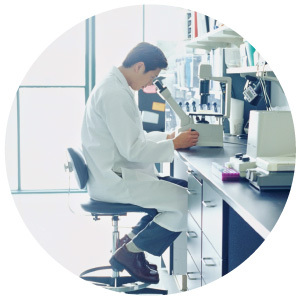 Identify resources and locate funds to support ongoing cancer research. Promote strategies, as well as cooperation and collaboration among research partners, to foster innovation in cancer research. 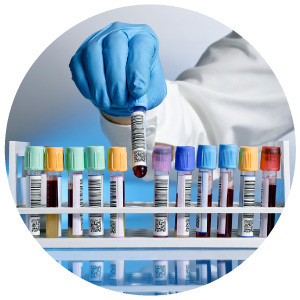 Develop a biospecimen repository to enable more research into genetic testing and molecular profiling of cancers.